Stevens' hometown of Hoboken is one of the New York metropolitan area's major transportation hubs. Students and visitors have a wide array of transportation choices that includes the train, light rail, bus and ferry. All of these options are within walking distance of the Stevens campus. This commuter-oriented city is served by New Jersey Transit rail lines and buses, the Hudson–Bergen Light Rail, the Port Authority Trans Hudson (PATH) rapid transit system and NY Waterway-operated ferries. 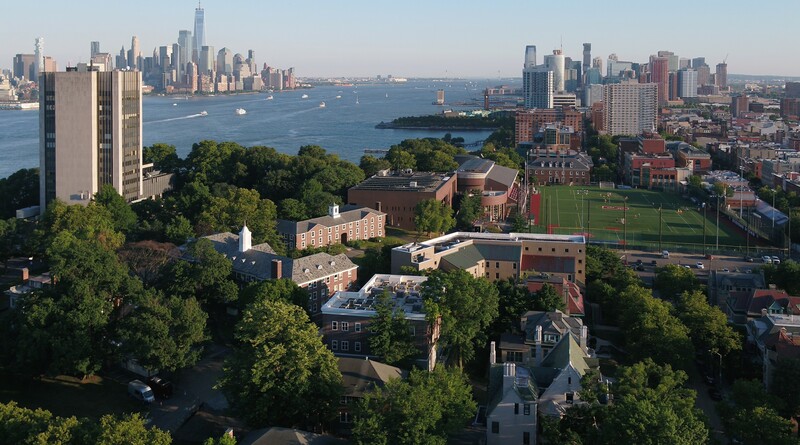 Both the Stevens campus and the city of Hoboken are easily navigated by foot. However, the university’s free campus shuttles operate several routes daily for more convenient travel around Hoboken. Members of the Stevens community can take advantage of the university's complementary shuttle service for travel between campus and the Hoboken Terminal/PATH station (Blue) , the 9th Street Light Rail Station/Jersey City Heights Elevator (Green), and Stevens Leased Housing property locations (Red/Gray). Stevens' central location in Hoboken makes walking the easiest way to get around Hoboken. Students and visitors find many destinations, such as restaurants, shops and parks to be within a convenient walking distance. Though Hoboken is one of America's most walkable cities, there are other ways to get around the city. The City of Hoboken offers Blue, Red and Green Hop shuttle buses that operate on a half-hour schedule, starting at 7 a.m., and ending at 8 p.m. Buses run Monday through Friday. The fare is $1.00 per ride. Students and visitors can be in NYC within minutes if traveling by bus, ferry or train. All methods are transportation are within walking distance of the Stevens campus or by a Hop bus. Marked by the old Lackawana Terminal Clock Tower, the Hoboken Terminal (located on along the Hudson River at the end of Hudson Place) serves as the main transportation hub in Hoboken. Here you will find New Jersey Transit trains, New Jersey Transit buses, ferry service to Manhattan, and PATH service to New York City.